I have been waiting for this giveaway for over a month and it's finally here! One lucky reader will have the opportunity to win a $50 store credit offered by Kiki La'Rue! The winner can take their fifty smackers and spend it any way their little heart desires! Pretty fabulous, right? Speaking of fabulous, how amazing is this dress courtesy of Kiki La'Rue? I laid eyes on this scarf print maxi dress and new it had to be mine. You know I am loving the scarf patterns from my post last Friday. It is bright, whimsical, oh, so fun and absolutely perfect for the summer months. If you haven't heard about Kiki La'Rue let me introduce you. First of all, they are owned and operated from my great state of Texas. That should sell you right there. They are a sophisticated, fashion forward boutique specializing in designer clothing and accessories at an affordable price for today's fashionistas on a budget. When you shop with them you will be treated like the queen! Go ahead, let them increase your wardrobe without increasing your debt! Can I get an amen? I am all about fun fashion at an affordable price. Who doesn't want a little bit of free shopping? Go ahead and enter with the Rafflecopter below. Good luck! The winner will be announced Friday, August 10th. Cheers to a lucky winner and Kiki La'Rue! Today I am linking up with the Pleated Poppy. And I love this giveaway!! If I win I will definitely get the Repeat Trender Skirt! Hi! I am your new follower via GFC from Jessica Who's giveaway. Looking forward to keeping up with your blog. I blog over at Pointing Up www.dalaynadillon.blogspot.com See ya around! that dress is just to die for! Love the dress your wearing! I would get the Coral Boyfriend Tunic! I demand you come to Arkansas right this second & help me with my wardrobe. Gah. You make me sick. Everything looks good on you. You're awesome. That's all. omg too much to choose from! i think i'd choose between her royal highness dress, boyfriend tunic, and the secret garden hi-low dress! I like the second date mint dress, and also the one she is wearing in this post! I love the boyfriend tunic in coral! So cute! I love the Wendy Maxi and the Moraccan Maxi in purple. I'm dying over that chevron maxi! EEEKKK! LOVE! And I'm STILL debating on whether I should hit up Old Navy today (for a polka dot fix). that print is awesome..so muhh fun yet elegant! Your comment on my blog was hysterical..you had me rollin' on the floor! That dress looks amazing on you! I've always loved that one but didn't know if I could pull it off. I love the fountain of youth maxi!! I would get the Her Royal Highness! I would chose the summer sweetheart dress! Love the dress!! The colors are amazing together! Love your blog!! That dress is A-Mazing! I would actually get that dress if I won. Or the Twice as Nice Top if I don't buy it in the next few days...haha. I'd probably get the summertime romper or the ray of light maxi dress. Are you sure you're not duping us with this dress. You're going on a cruise right? I love dressed like this but can never figure out if my tibbies should be free or strapless. I'd go for the Miss Direction dress! CUTE! I am obsessed with the 2nd date dress in mint! Look at you pretty girl - LOVE the dress!! So hard to pick an item, one of each please!!! I really love the Sunday Best Dress, it's so girly!! I'd pick the Sail Away Striped Maxi but it was hard to choose! I think I'd go for the simply stunner dress. I would def pick one of the striped Maxi dresses! so cute!! The dress you are wearing is gorgeous! I also really like the Wendi Maxi dress. Great giveaway, and thanks for introducing me to the store! Love the dress you are wearing- gorgeous! It's a tough choice but I would pick the Southhamptom Linen Pants. Versatile and perfect for summer! I would choose the boyfriend tunic in coral...it is dreamy!! Hey Shanna! Hope all is well and your having a great Summer! You always wear such pretty dresses!! I would love to raid that closet of yours ;) I would buy the Kristen Maxi! & love this dress on you! you are such a fashionista! Great giveaway girl! :) Thank u! That dress looks amazing on you! I'm going to check out their site right now! Love this giveaway, thanks for hosting it! Love your dress! Great giveaway! I would probably choose the Boyfriend Tunic - Coral. But, there are so many great options! I would DEF get the Ray of Light Maxi. Fun stuff!! Thank you my dear for such a great giveaway!! And god, I swear, you can rock ANYTHING! This dress looks amazing on you! I would get the boyfriend tunic in coral! It would be perfect with white skinnies! You look amazing!!!!! Love that dress on you. I would definitely get the boyfriend tunic if I won. Crossing fingers!!! Great giveaway Shanna! You're so cute and I love how fun this dress is! I'd choose the Chichen Itza Tunic - Black & White. I would get the chevron maxi in orange!! LOVE IT! I LOVE this dress! It's so bright, it just makes me happy looking at it. I think I would possibly opt for the ray of light maxi, although it's incredibly hard to say for sure! There are so many great options! Alright my friend, first, you look fabulous as always, and second, pick me pick me!! Happy Wednesday:) I'd get the second date dress..
Yikes so many amazing pieces. I love the coral boyfriend tunic yet the chevron dresses are pretty nice too. Secret Garden Hi-Low Dress - Green -- it's so pretty! I'd get the secret garden dress in coral! Too cute! I would get royal highness dress! Love their clothes! Id probably pick a chevron dress... Loving it! I love the Monaco Maxi dress! ahhh that dress looks amazing on you! i love the coral boyfriend tunic! I love the Chichen Itza Tunic! I'd love the Sail Away striped maxi! Loving you style and your blog! :) That dress is pretty amazing and looks great on you! I LOVE this dress on you!! You look so gorgeous. 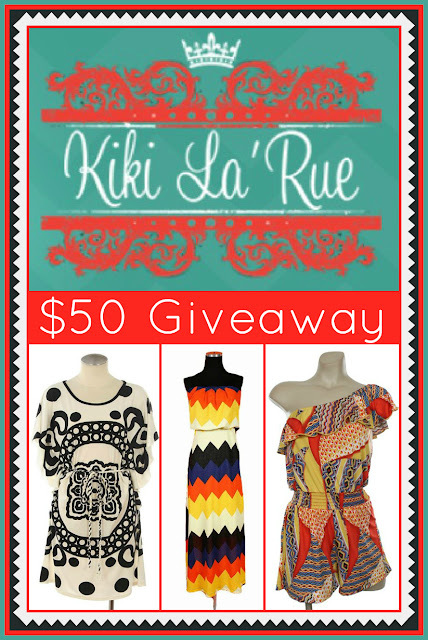 GREAT giveaway :) And that dress is stunning!!! I'm a new follower from WIWW over at the pleated poppy link-up. Love the dress - I have to ask though, do you wear a bra with that? I love that dress! So gorgeous! I also adore the pink chevron dress from that store! They have so many lovely pieces! I'm thinking the boyfriend tunic in either jade or navy! LOVE this dress on you!!!! My favorite is the 'zigga zig zag dress.' Great giveaway. Love you lady and I'm so glad we got to chat last night!! I love the Zigga Zig Zag dress! i love the zig zag dress so much!! The sailor dress is so adorable!! Love this! I'd get one of the maxi dresses for sure! I love your dress, so cute! As for the giveaway, I LOVE The Lanie Dress, All Ruffled Up One Shoulder Top, Object of Your Affection Top, and all of the maxi dresses! Love your dress.If I won, I wouldn't know what one to pick. Because I love so many of them. My top three favorites are 1. Ray of Light Maxi 2.Southern Belle Lace Collar Dress and 3. Teal Love Dress. 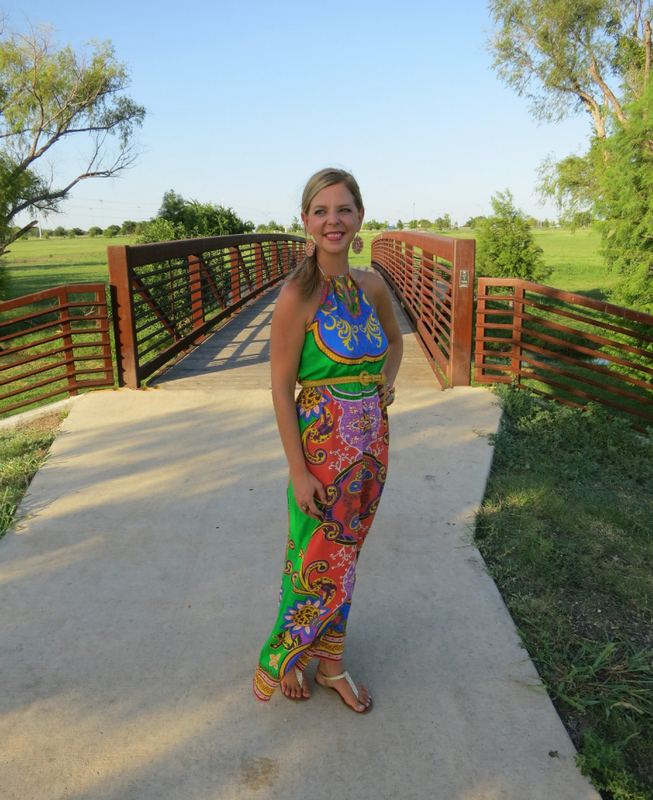 I love the wendi maxi! LOVE the pink chevron maxi! Great giveaway! I love the sweet love summertime romper in yellow! It's so cute! I would totally love the 'simply a stunner' dress. gorgeous!! I love the dress you got!! I would pick the "royal highness dress" or the black beachy maxi dress, because I just can't seem to find a black maxi dress!!! I would totally buy the exact same dress you're wearing in this post. It's AMAZING! oh my goodness!! you look great here!! I love the sailed away striped maxi and the chevron maxi dresses, very cute!! i love the secret garden dress in white! Thanks for an amazing giveaway opportunity dear! I would love to get the tahiti dreams strapless dress if I won! Fingers crossed! I would buy the boyfriend tunic. Possibly would buy the Secret Garden Hi-Low Dress - White..BUT if we're being honest it would take me a really long time to pick something haha. Love this! i need more summer dresses in my wardrobe and this would be perfect! ray of light maxi!!! love it!